SHARP MOUNTAIN SPORT UNLIMITED 4X4 JEEP! 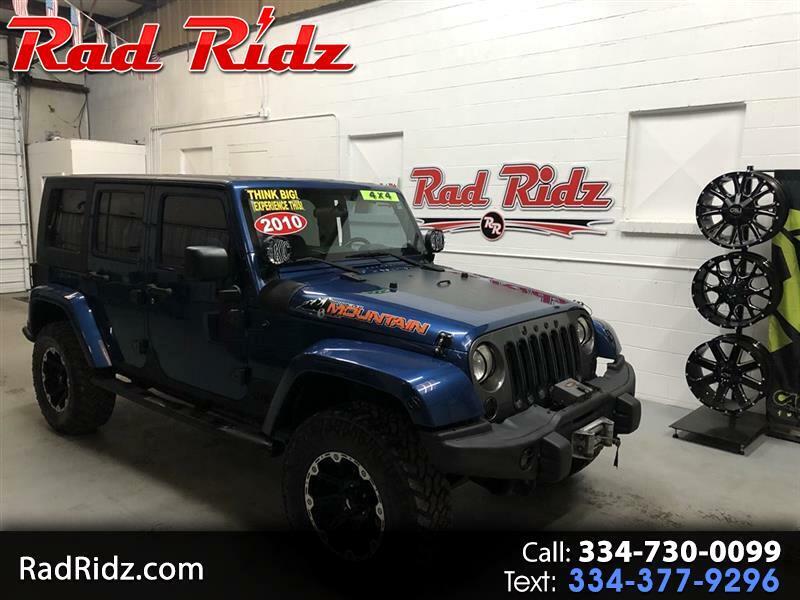 AUTOMATIC,WINCH AFTER MARKET WHEELS AND TIRES,HARD TP, SMALL LIFT AND MORE..DON'T MISS OUT ON THIS AMAZING JEEP WITH REALLY GOOD MILES.. COME SEE US, GIVE US A CALL OR FILL AN APP OUT ON OUR SITE. THANK YOU. Message: Thought you might be interested in this 2010 Jeep Wrangler Unlimited.